I’m a sucker for bite-sized anything. 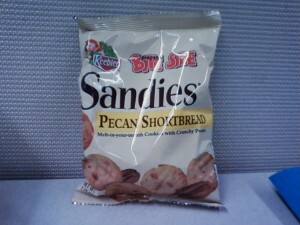 Anyway, I was excited to see a smaller version of Pecan Sandies and felt compelled to eat them right away. I was about two cookies in when it dawned on me that these weren’t the deliciously crumbly cookies I’d remembered. They were dry in a bad way and disturbingly crunchy. 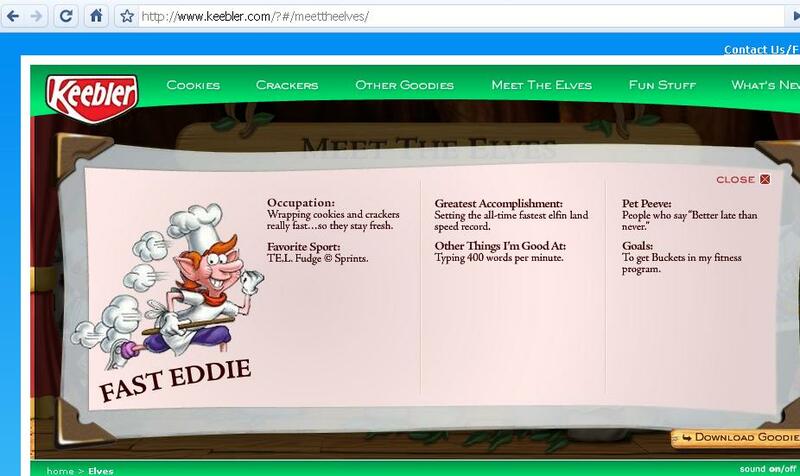 One of the Keebler elves is seriously dropping the ball... and I think I know who it is. As for the flavor… You know when you get to the end of an ice cream bar and you’re left with the stick but you can’t get off the couch to throw it out just yet (because you’re watching your favorite movie on TBS) so you end up chewing on it for awhile? You know that “nothingness” flavor? 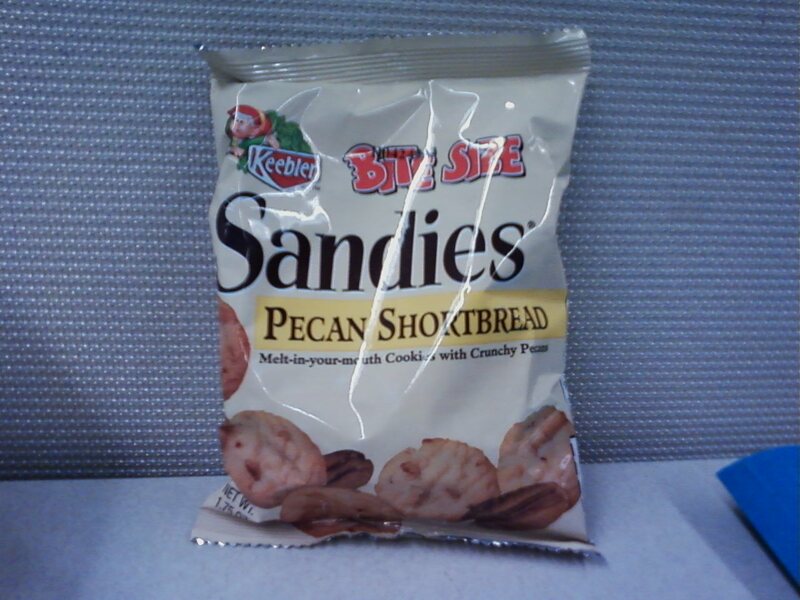 I’m sorry to say it, but that’s what Pecan Sandies taste like. Definitely not worth the calories. 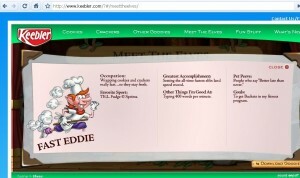 Look… maybe I had a bad bag or maybe Pecan Sandies just aren’t meant to be enjoyed in bite-sized doses, but I’ve got my eye on you, Fast Eddie. « Coconut M&M’s Are So Last Summer… Or Are They?